Cabling aide-memoire, 2018. For a (non-artistic) project I needed to remember the cabling layout on a fairly complex machine that I was involved in disassembling and reassembling. Although seeing all the routes of all the wires at the same time wasn’t helpful — seeing them in isolation was — the overall effect was unexpectedly playful. 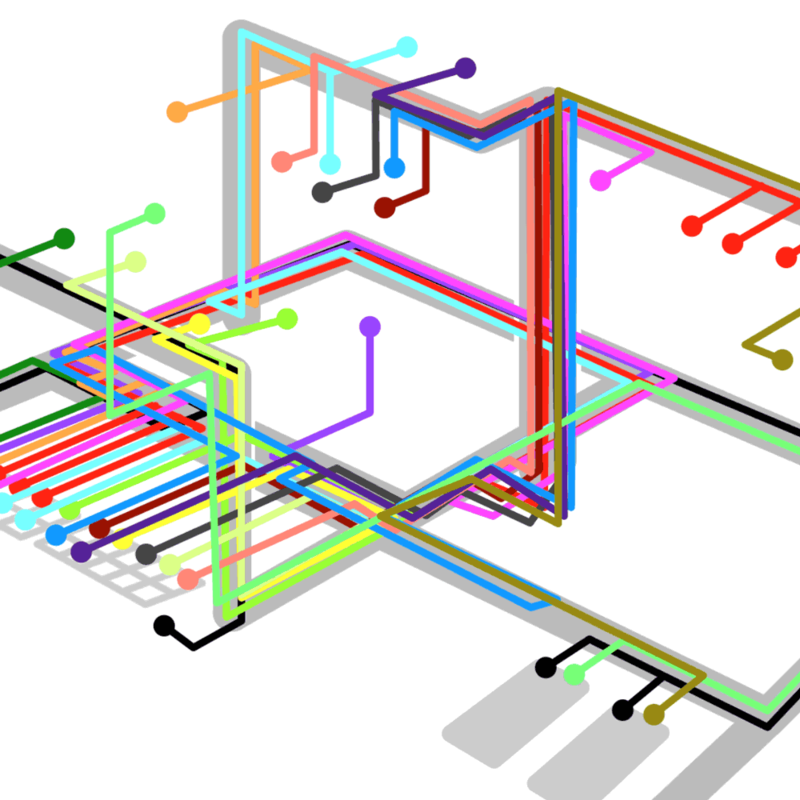 This is a cropped screenshot of an interactive document I made for looking at the cabling maps during the machine’s reconstruction. Multiple PNG images overlaid in HTML with (not shown) buttons for isolating individual routes.